The unimaginable, ongoing, practical and emotional traumas of those who survived the Grenfell Tower fire, and all those who sadly have to come to terms with the knowledge that their relatives, friends and neighbours have been presumed dead, commentators are now expressing various thoughts about the whole tragic event. When one looks at the photograph of the centre with make-shift beds on the floor, it is heart-rending. Trauma upon trauma compounds the mental and emotional suffering, when one realises the accumulative effect. To escape from a major fire, against the presumed odds. Discovering the desolation in learning family members, friends and neighbours are presumed dead and/or referred to as missing. One’s home has gone, together with possessions, irreplaceable items (photos), any cash, Passport, other important documents. All of the survivors had to start their own co-ordination immediately after the fire, with the help of gifts of food and clothing from the public, and volunteers to help sort into categories. Charities also became involved. What initial help received from Kensington and Chelsea Council was inadequate and they later admitted to same. Promises were made that people would be housed within three weeks in the local area but in reality some were sent to other high rise buildings which meant families were so scared they could not sleep. Another person had been moved from one hotel to an old people’s home and there were no other Grenfell Tower survivors anywhere near him. A further person was sent to Cambridge – a considerable way from London. Promises that all would be housed somewhere by three weeks does not appear to have happened. Resignations of the Leader and Deputy Leader of the Kensington and Chelsea Council have taken place and now matters that urgently requiring attention are dependent on new Leadership Elections for those positions asap. A recent ‘closed meeting’ held by the Council who invited survivors to enable discussions was cancelled when the Press (previously banned), obtained legal permission to be admitted. The reason being given it may jeopardise the legal situation. If that were the case, then surely the same would have applied to a closed meeting. The survivors were advised by the Government soon after the fire that the costs/facility of their individual legal representatives would be met by the Government. 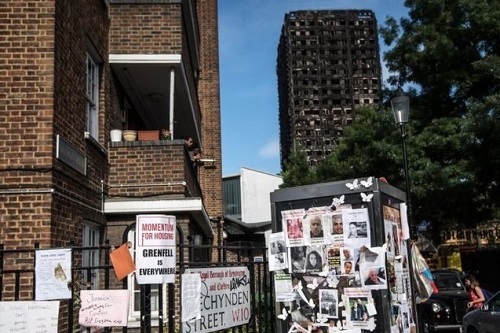 What of the ultimate future of Grenfell Tower – apart from some lower level flats (we are told), the rest of the building is a totally burned out shell and should, post search and subsequent legalities of criminal investigations and charges, be knocked down. One woman was actually contacted by the Council concerning payment of her rent due! They have since apologised and a general statement has been made that all rents are suspended until at least January. Normally, letters chasing rent or questioning an issue always end with threatening paragraphs ‘do this,’ etc, or ‘we will terminate your benefit.’ It was not disclosed as to the exact wording in their letter. Given that all the occupants of Grenfell Tower will be eligible for financial compensation, one would have thought that should take priority over such a minor thing as rent. In fact, if they had an interim compensation now, the survivors could commence viewing for a local home now and start rebuilding their lives, and also save temporary hotel costs. The snag is, Kensington and Chelsea area is, as we know, one of the richest areas of London. £5,000 was given to each survivor for their Bank Account and around £500 cash for everyday items. They were also given assurance regarding costs towards funerals, but even more tragically so far, only one has taken place and it is doubted that sufficient remains will be retrieved or identified to enable any more. Bereavement in normal circumstances of nature is difficult enough to work through the grief process, but imagine adding to that all those who did survive will have terrible post traumatic stress about the fire, requiring years of counselling. No funeral will be possible, no comfort in having one’s own possessions or those of a presumed dead loved one. No home and a sense of feeling a lack of any worthwhile future without lost loved ones. Survivor’s guilt is something many will have, i.e. why did they survive when they witnessed the cries for help by others but despite all best efforts, not all could be saved. A number of survivors have temporary help or a room with relatives or friends, but some have not wanted to go that route in case the Council seizes on this, and they forfeit any claim for rehousing. It has been admitted by all those in some form of Authority that for most other forms of disaster there exists a prepared emergency plan, but nothing on this level was envisaged to have an appropriate outline in place. Politicians of all colours visited the site (some better received than others). The Prime Minister invited some survivors to a private meeting at Number 10 Downing Street and by accounts, she showed a true human reaction to the harrowing account of their experience, listened and only spoke briefly thereby giving the people a sense of cathartic platform to assuage some of their outpouring of grief. Apparently, upon hearing of their personal experiences she held one woman’s hand and the PM was visibly moved. Since the fire, nearly 200 high rise and other buildings, in about 40 counties have had external cladding tested and all have failed. One hotel chain was the first to take action and remove cladding. School buildings are also being tested. Now, it would seem, that other factors may be similarly vital, e.g. internal fixatives within the cladding as it attaches to walls, the thickness of same, and was there a gap which served as a tunnel through which flames could travel? One poor victim, it has been said, lived rough for three days after the fire, away from the other group of survivors in order to try and process what she had seen and survived. The family of survivors know who were residents, which is just as well, as apparently one person admitted to falsely claiming they had been a resident when they were not. One moving scene showed a woman meeting up with a man who had saved her life when the corridors of Grenfell Tower had been filled with smoke and she did not think she could make it out the building, but thanks to his help, this woman did. Other film footage depicted someone on a top floor signalling SOS out of a window using a light or torch, and one could see sheets knotted together down part of the building. Nothing was said about these people having escaped but one presumed otherwise, sad to say. When we see buildings being built, sometimes attached to the sides are types of temporary netting like a trampoline style in case materials fall, and I have wondered if buildings should/could have emergency platforms that extend outside and away from a building (though still attached), from which metal folding steps to lower platforms can be released or helicopters could hook up to and/or pick up people evacuating a building when fire engulfs the main structure. 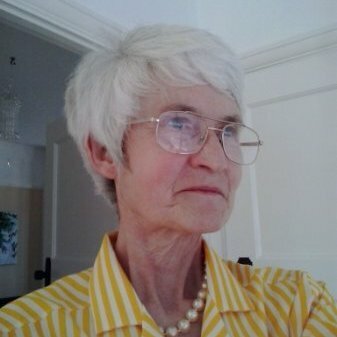 I believe the Government has provided counsellors and individual representatives from the local Council in respect of each survivor of Grenfell Towers as until that point it was left up to every person to go to the Council regarding various administrative elements required, and that is bad enough to deal with in normal situations.